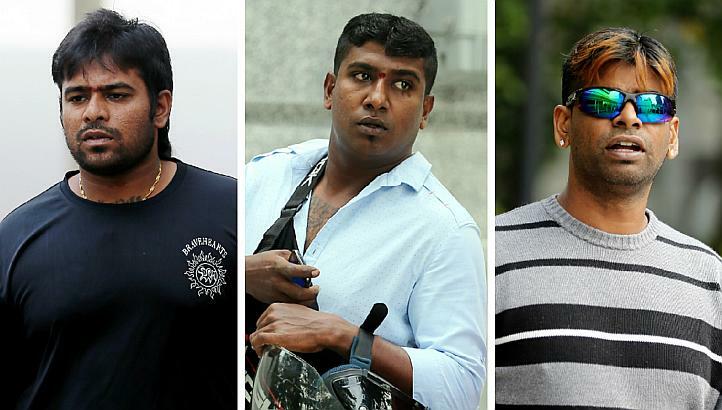 One of the three accused charged for the Thaipusam fracas has written a letter to the media to plead his innocence. At Desker Road, the urumi boys were then pulled aside again, aggressively this time, by the temple officials . My cousin brother who observed the situation went in to mediate as those urumi boys were engaged and paid by us. He questioned those who pulled the boys away on why they were being pulled away, and that these boys were engaged by us. He argued with them asking why weren’t we allowed to play the Urumi & Thavil which are traditional indian instruments. It was emphasized in the media that we were the one playing the instruments at the procession. However, the truth is, we paid and hired a urumi group to play music for my brother’s kavadi. There were about 15 to 20 temple officials and blue uniformed (unable to identify whether they were police or certis cisco in the chaotic situation) men who were involved in the argument. Suddenly, there were a group of guys (about 20-30 guys) who barged in and started manhandling us, trying to push us away from the urumi group. I noticed that my cousin brother was manhandled, being pulled by his tshirt to and fro to a corner, and i also saw his wife was running behind him, trying to pull the husband away from them. A group of men were pushing me and trying to bring me to the ground violently. At the point of time, I noticed my sister-in-law being pushed to the ground, that was when I got agitated and aggravated and I rushed towards my sister in law. From my point of view, the person who pushed my sister in law was wearing a white tshirt. I broke free from the group of men, and I punched him, thats when 10 men pinned me down on the road aggressively, suffocating me. They kneed and backheeled me on my face, and said “you dare to punch a police officer”. That was when I realised this group of men were police officers. We were then brought back to the station.